At Briarwood we are dedicated to caring for our residents with compassion and respect, while preserving their dignity and independence. 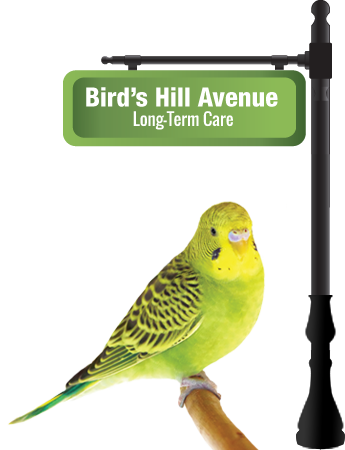 Bird’s Hill Avenue, our long-term care setting, is a nurturing environment that provides round-the-clock nursing care. Residents grow to cherish their beloved caregivers who staff this neighborhood, and create lasting and meaningful relationships with them. Family members are always welcome and are encouraged to play a vital role in their loved one’s care. Our comprehensive treatment and individualized care programs are designed to reach the full potential of each resident. Our skilled nursing and medical care capabilities feature a full range of on-site advanced clinical services including restorative therapy, pain management, wound care, IV therapy, respite and palliative care, as well as a secure dementia unit. Day-to-day living is enriched by our excellent recreation program – that enhances our residents’ wellbeing by providing them with camaraderie and daily stimulation.